​The prolonged saga linking Eden Hazard with a move to Real Madrid in the summer has another chapter, after the Belgian spoke about his admiration for Los Blancos' boss Zinedine Zidane, admitting the Frenchman is the reason he started playing football. 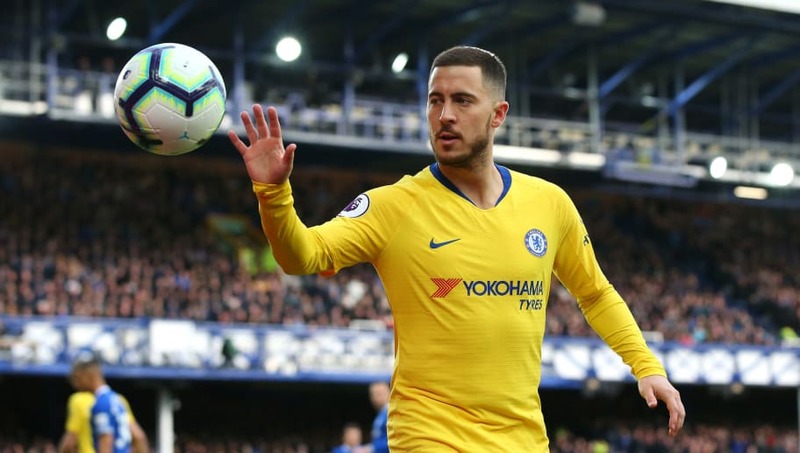 Hazard is out of contract next summer, and speculation linking him with a move to the Spanish capital has been rife throughout the season so far, particularly following Chelsea's recent dip in form and Real's change in management. Currently on international duty, when asked who he'd prefer to work with out of Zidane and Belgium boss Roberto Martinez, he said: "As a player there's no comparison, I have so much respect for Zidane, he's my idol. It's thanks to him I started playing. "But for the victories we've achieved with Martínez I'd go with Martínez."